Since joining 88office since June 2014, PT. Eight & co continues to progress and grow better. 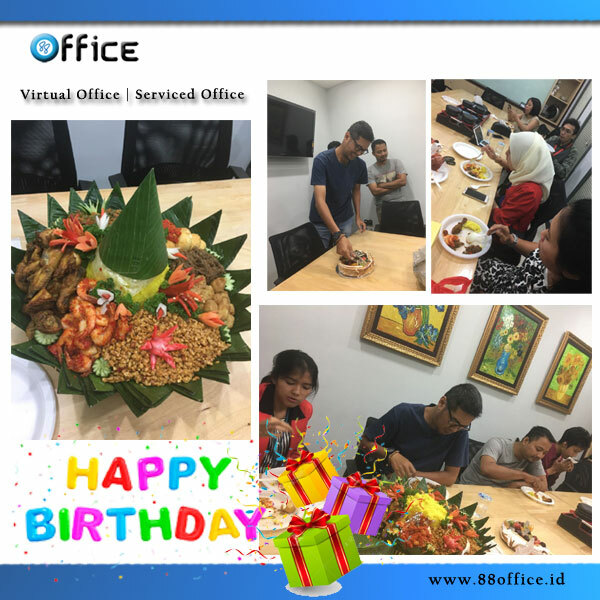 Mr.Bonnet on her birthday says that he is very proud to have been part of 88office for quite some time. Good service and a very supportive environment in daily work activities become a strong reason in the increasingly productive and growing business of PT. Eight & co during this time. Not forgetting 88office also expressed much gratitude to Mr.Bonnet for being an important part in improving the service and developing 88Office. We wish you PT. Eight & co always get the best, be at the forefront and always on the top. Happy Birthday Mr.Bonnet, good luck always and more glorious in the career.